When I was teaching Travel and Tourism in Canada, I taught an entire unit on Australia. While the students were complaining, as they do, about the content, I was relishing the opportunity to learn more about a country I had always wanted to visit. All through this trip I have been stopping to marvel at the fact that I am actually in Australia, and no where were these thoughts as strong as at the great barrier reef. Similar to the Great Wall or Mount Fuji, it’s one of the places in the world where you can’t help but have a surreal moment. I can’t believe I’m actually here! 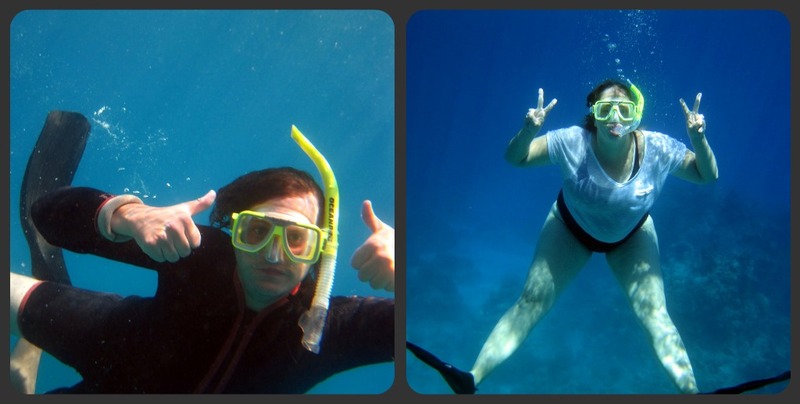 We booked a day trip to the reef on a snorkel and scuba diving boat for just over $100. They picked us up at our hostel in the morning and after getting our safety numbers and our snorkel gear we headed out to the reef. 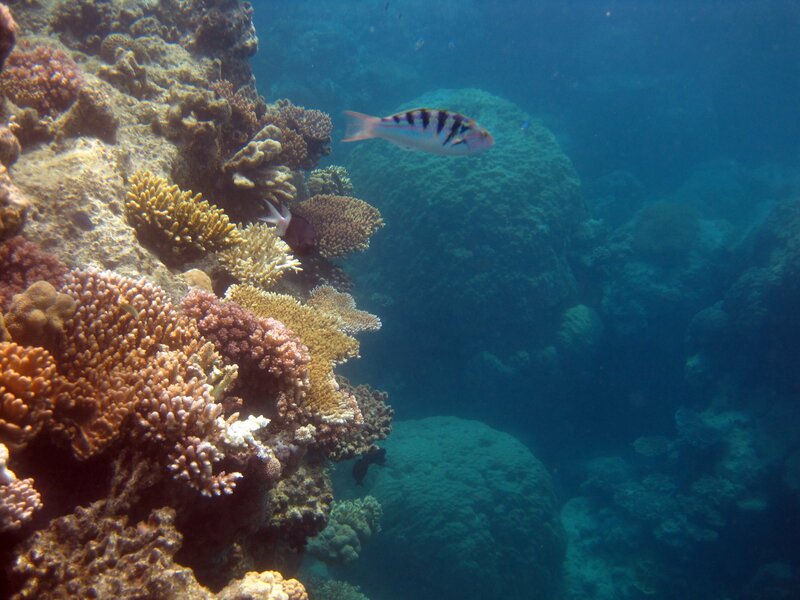 Our boat made two stops, at the Hastings reef in the morning and at Saxon reef in the afternoon. The boat trip itself was wonderful, with coffee and cookies in the morning, an amazing lunch buffet, and really delicious muffins. Scott and I were two of the only non-divers, so we spent most of our time with a retired couple from Canberra, but we basically had the top of the reef to ourselves. We purchased an underwater camera case, which served it’s purpose for three uses, and headed into the water. It was amazing! 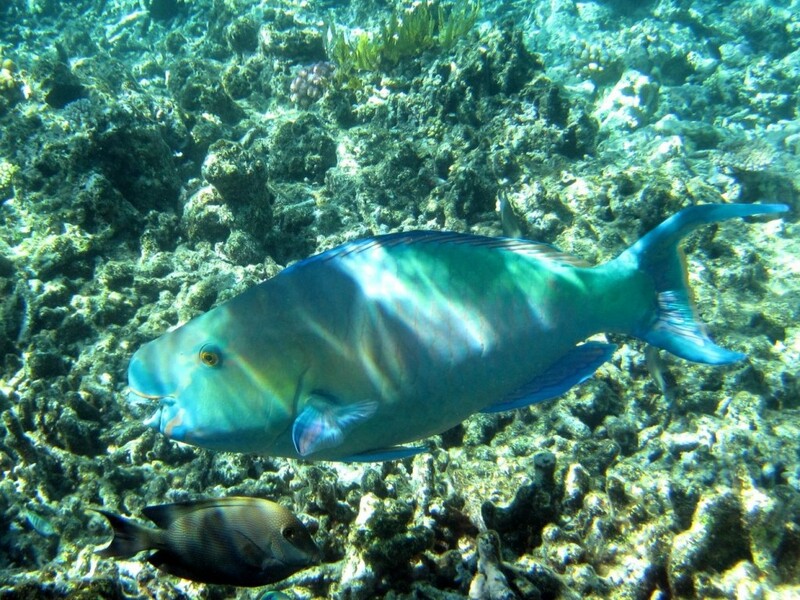 We saw lots of amazing fish and other incredible underwater life. 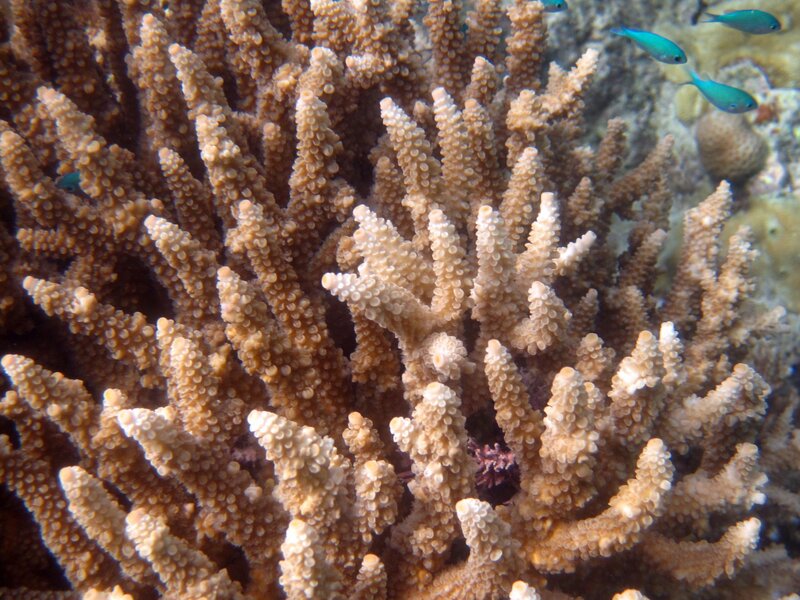 However, for me, the best part was the reef itself. It was about two feet below the surface and you could easily swim right over the top. It dramatically dropped off 20 feet at the edge, and it was an amazing feeling to swim from the reef to the open water and back again. I felt like I was in Finding Nemo. The pictures are not great, but it was an amazing experience.